Zinsser Covers-Up stain sealing, stain killing ceiling paint and finish and is a quick cure for water stains. 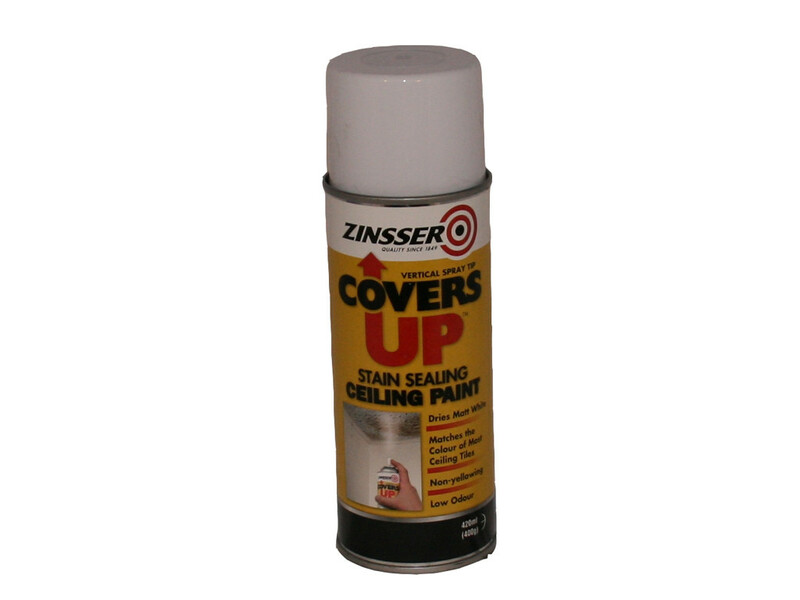 Zinsser Covers-Up stain sealing, stain killing ceiling paint and finish. Zinsser covers up is a quick cure for water stains with a flat white finish. Vertical aerosol for overhead professional projects, great hide, non yellowing, low odour for all purpose interior use. Use under or over latex and oil based paints.